The way we do our pricing is based on the volume your items fill up in our trucks/trailers. Pricing starts at $65 and goes up from there. The best way for us to offer you the most accurate price is a FREE NO-OBLIGATION ESTIMATE at your home or business. Our truck size is 480 cubic feet (12ft by 8ft by 5ft) and this is enough for most junk removal jobs we typically see. But there are times when the job is anything but typical. 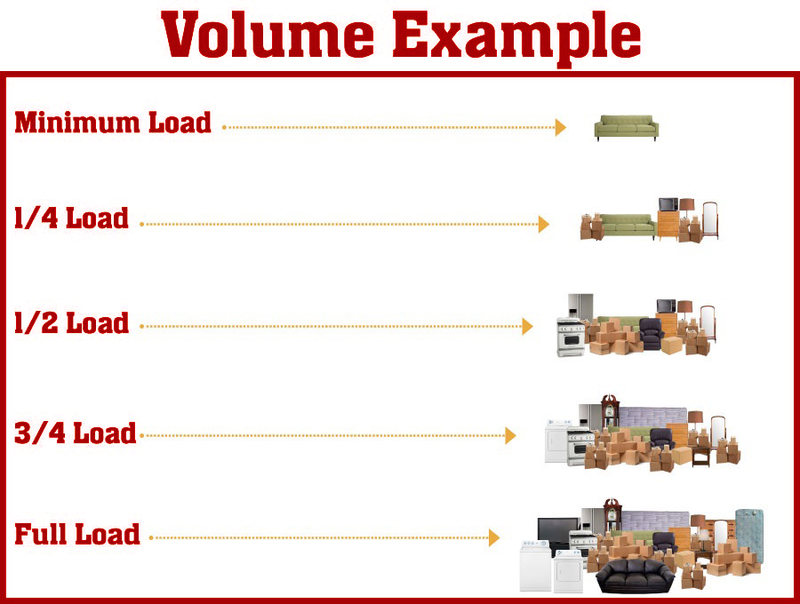 We charge by the volume your junk takes up in our trucks/trailers. Our trucks have a volume of 480 cubic feet (12ft by 8ft by 5ft). A full load can fit about a one bedroom apartment. Bed load items consist of dense/ heavy materials like cement, soil, sod, drywall, shingles, or rocks. Bed load prices are based on metric tons with a three ton limit. Bed load prices are priced different than regular junk loads due to the weight and labor needed to load up the material.